Everyone is looking for ways to eat healthier and more consciously. However, at the same time, they don’t want to sacrifice flavor or spend a fortune to do so. Fortunately for these diners, Colorado-based Modern Market has opened their newest location in Scottsdale! 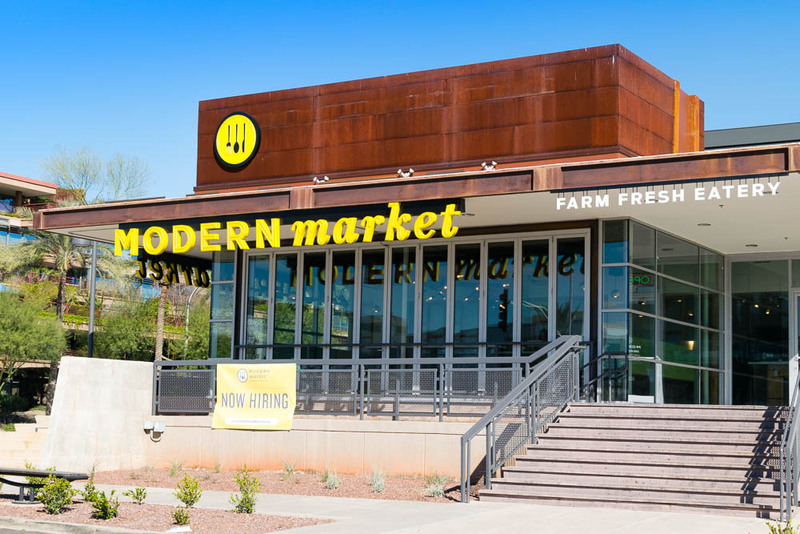 Modern Market is offering a menu of all-natural breakfast, lunch and dinner favorites, all served up quickly inside a stylish rustic-modern setting. We talked to co-founder Anthony Pigliacampo about their concept. He explained to us that Modern Market takes an all-inclusive approach to food and health, with a focus on food quality. They avoid using added sugar and bad fats, and through attention to sourcing, they can exclude chemicals and ingredients no one can pronounce. For example, they selected their bread vendor based on the fact that he doesn’t use any added sugar in his recipes (the toast was one of our favorite parts of breakfast). 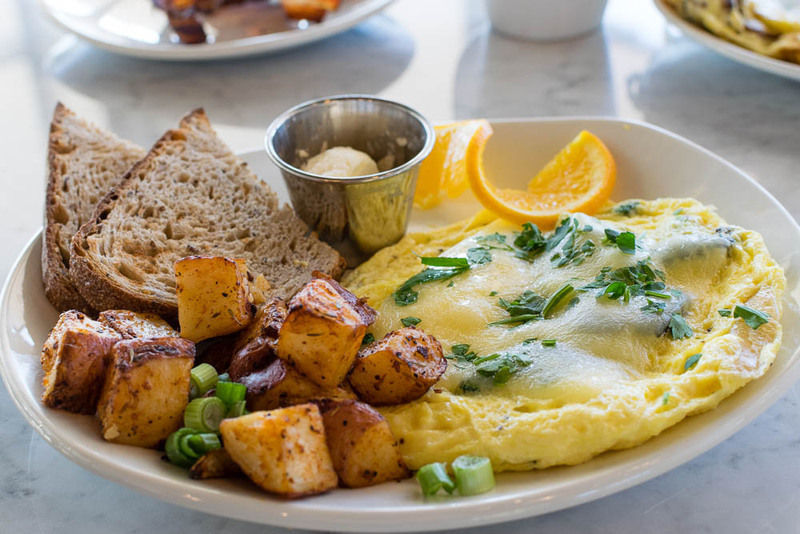 We loved our breakfast experience at Modern Market! The feel of the restaurant itself is very bright and casual which matches to food and its flavor. 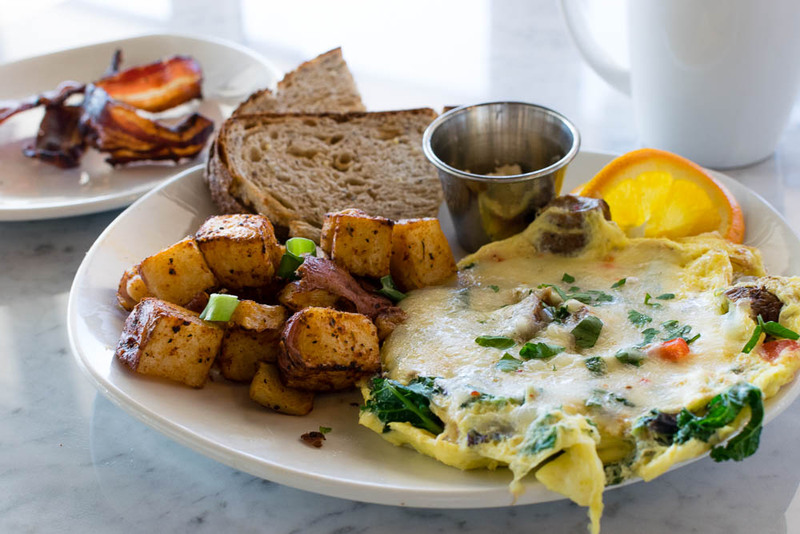 Both of our scrambles were delicious and jam packed with flavor. No need for extra salt which is usually a norm for us. We loved the broccoli in the Market Scramble, such a different veggie than what you usually see in eggs. The bacon was peppery and crispy, just how we like it! We can’t wait to explore the rest of the menu at Modern Market. They opened today so be sure to head over and grab a meal that is not only tasty, but better for you! What a wonderful concept, the food looks fab. Would definitely shop there if we lived in that part of the world. That market scramble looks simply delicious! What a lovely place to grab some breakfast. It’s so nice to find an eatery that serves simply great food. I wish I was based in Colorado so I could try it out! Sounds like a great market! I’ve never heard of this place but those eggs sure look good!